Spray Wash Powder is an inhibited alkaline powdered detergent and rust inhibitor suitable for cleaning all metals. 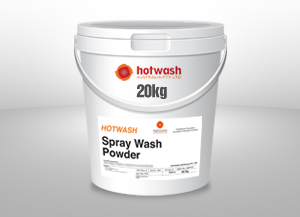 Spray Wash Powder has been designed for medium pressure spray application for the removal of oils, grease and particulate matter from all metal surfaces whilst simultaneously providing temporary indoor corrosion protection on steel. To obtain a totally residue free surface rinse with water after cleaning with Spray Wash Powder. If corrosion protection is required, dry without rinsing. 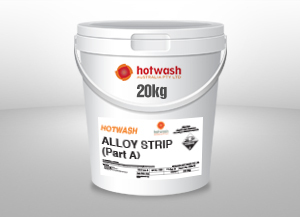 In built corrosion inhibition provides effective temporary indoor corrosion protection on steel. The unique formulation will ensure removal of a wide range of soils. 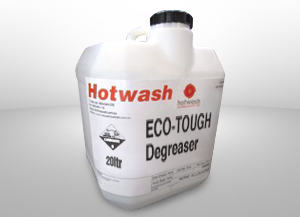 Spray Wash Powder is well sequestered therefore ensuring solutions are not affected by hard water. Solutions are not corrosive to metals meaning that equipment constructed from mild steel is suitable. 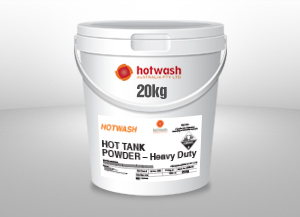 Tank overflows caused by high foam levels will never occur when using Spray Wash Powder. The formulation incorporates up to date quick break technology ensuring oils will quickly split from the aqueous phase in triple interceptors and similar equipment.